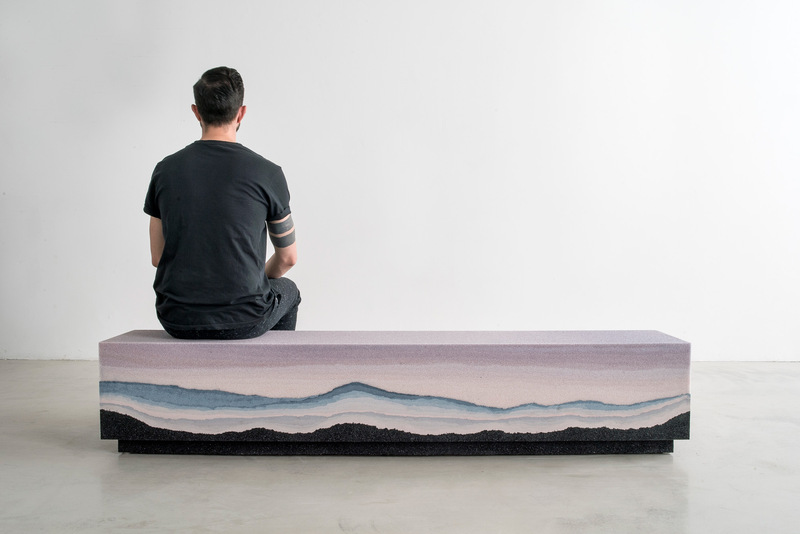 Powdered glass, dyed sand, silica, coffee—these are the materials designer Fernando Mastrangelo used to craft his latest furniture series, dubbed "Escape." 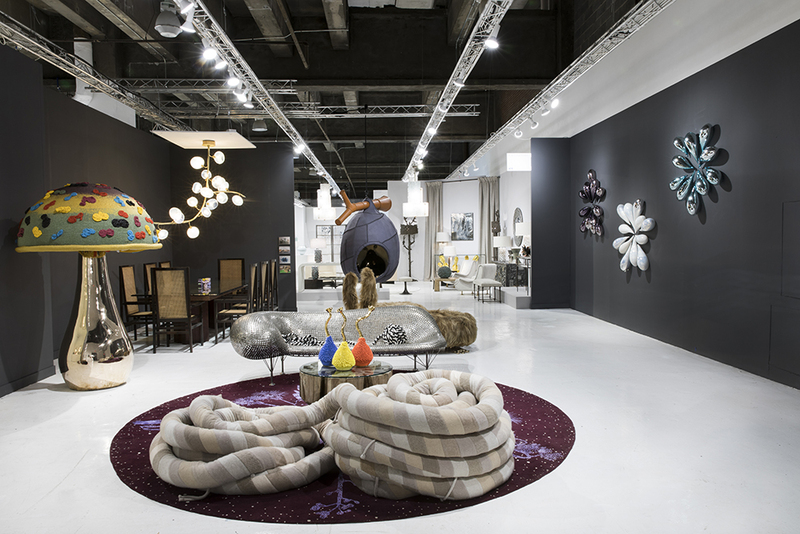 As exotic as those materials may seem, they're just the tip of the iceberg for New York–based Mastrangelo. His studio has experimented extensively with unusual castings, using salt, sugar, corn, salt, cement, sprinkles, metal beads, and more, in its sculptures and furniture. 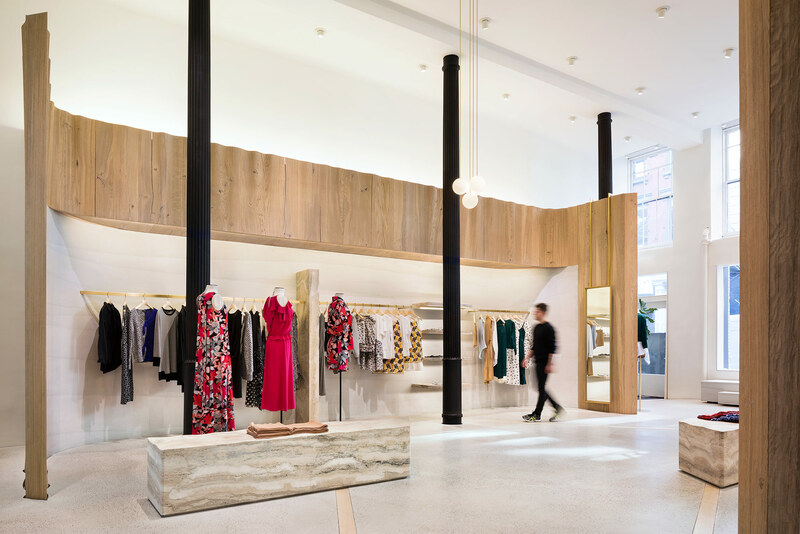 Mastrangelo recently collaborated with SHoP Architects to cast entire walls in Thakoon, a newly-minted Soho boutique clothing store (look for it the most recent edition of AN Interior!). "Escape," which recently made its debut in Milan, finds fresh inspiration in the natural world. 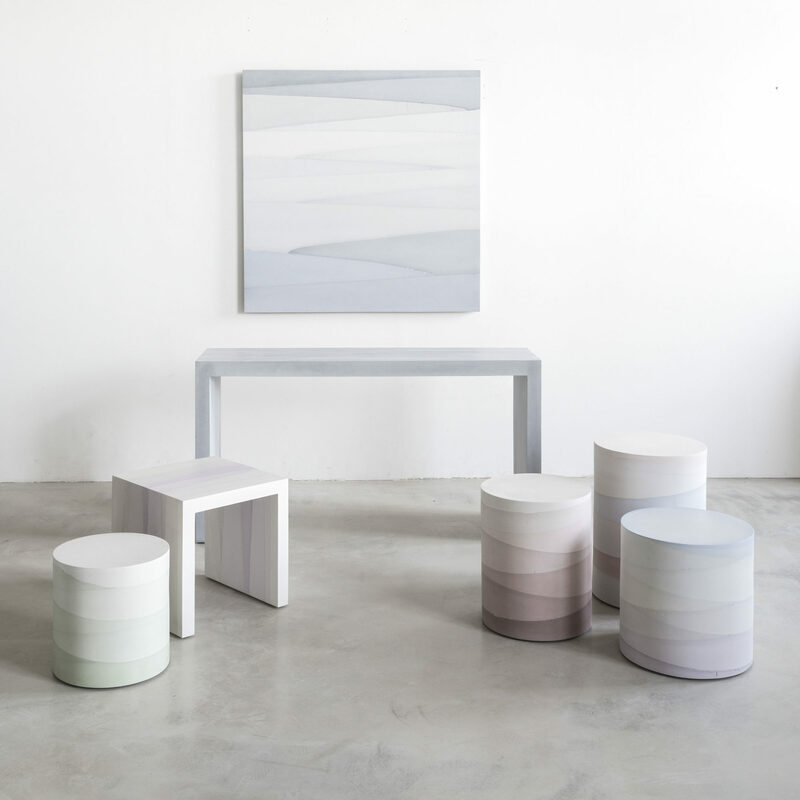 The series "is inspired by the perfect compositions of landscapes and horizons, which are at once harsh and geometric, yet soft and gentle," Mastrangelo told The Architect's Newspaper. "I wanted to create objects that capture that language, and the profound sense of calm and contemplation that stems from a connection to nature. This is the first time we’ve cast powdered glass, which has a unique luminous quality that really makes the pieces feel alive." The new collection is now on view at the Maison Gerard (53 East 10th Street, New York) from April 13th to May 5th. 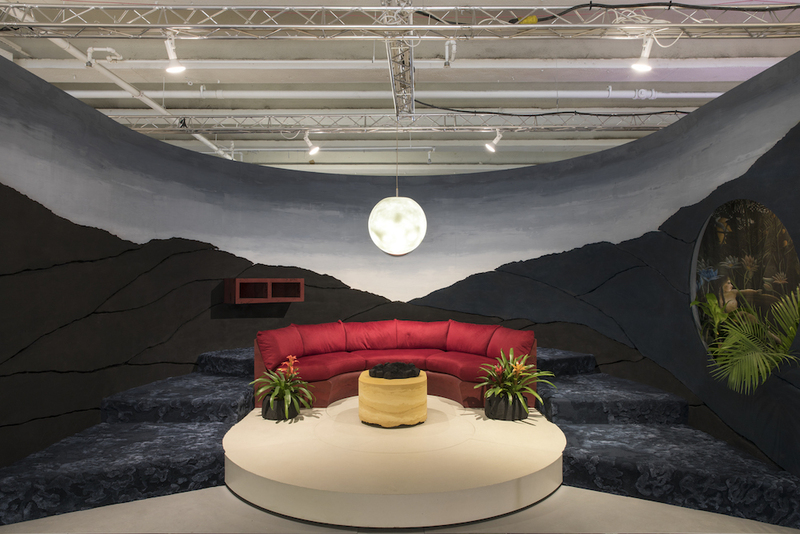 Featured at the third annual Sight Unseen OFFSITE fair, Brookyn-based artist Fernando Mastrangelo calls his Fade Series of the MMATERIAL line “functional sculptures.” They're the result of a minimalist aesthetic blended with sculptural craftsmanship. The pieces are composed of hand-dyed cements transforming a rugged material into simplistic blends of color to create ombre effects. Much of Mastrangelo's work uses aggregates such as rock, sand, glass, and silica in addition to hand-dyed cements. These elements are fused together in Mastrangelo’s casting process which uses salt, sugar, sand, coffee, and corn. This range of materials results in distinct tables, desks, cylinders, and custom pieces that can seem reminiscent of vast landscapes. Each piece is unique.